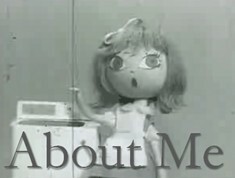 The NHK’s long-running program Minna no Uta has been a great showcase for musical talent and talented animators and directors since the early 1960s. 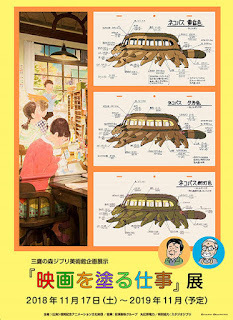 Some of the most prolific contributors to Minna no Uta include some of the brightest stars of the animation world including Koji Nanke, Tadahiko Horiguchi, Keizo Kira, Sadao Tsukioka, Keiko Tanaka, Taku Furukawa, Yoji Kuri, Fumio Ooi, and Seiichi Hayashi . My favourite Minna no Uta music video of the past decade is Atsuko Ishizuka’s Tsuki no Waltz (月のワルツ/Waltz of the Moon). 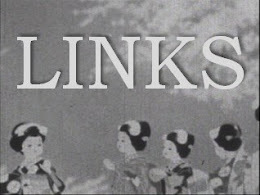 Ishizuka (いしづか あつこ, b. 1981) was still a student when her animated shorts CREMONA (2003) and Gravitation (引力/ Inryoku, 2003) caught the attention of the NHK. Gravitation was featured as part of the Digista Best Selection for 2003. 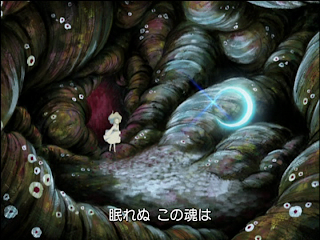 By 2004, Ishizuka had already been snatched up by Madhouse as an assistant director, but the NHK was able to negotiate for Ishizuka to direct Tsuki no Waltz. 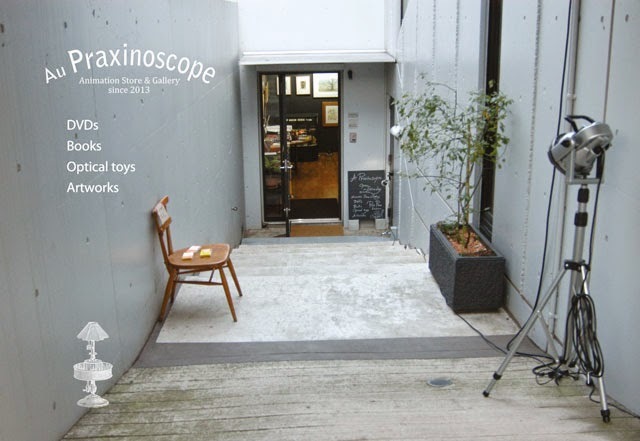 The haunting song was composed and sung by the talented young artist Mio Isayama (諌山実生, b. 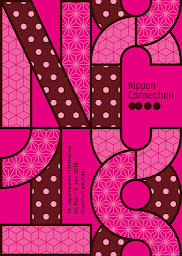 1980) with lyrics by Reiko Yukawa (湯川れいこ, b. 1939). The song is about the strange things that can happen on a moonlit night. 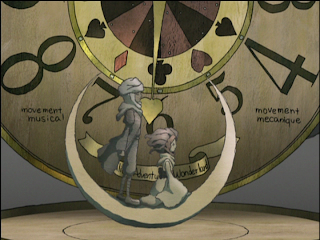 A young girl encounters an elderly man sitting in a moonlit alleyway and becomes transfixed by an Alice in Wonderland themed mechanical clock. Looking into the blue eyes of the man she is transported into the surreal realm of the imagination. 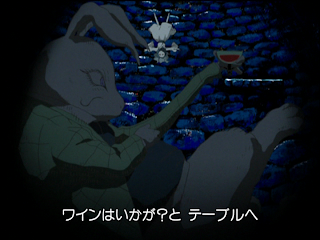 Ishizuka picks up on the song’s Alice in Wonderland theme and depicts a young girl being transported down a rabbit hole where she encounters a giant version of the White Rabbit sipping red wine. The girl runs through a labyrinth of surreal imagery until she comes to a sliver of a moon – which resembles the one Ishizuka used in the title of her film Gravitation (see the first image of my review of Gravitation). The old man appears and reaches out his hand to the girl and she gets transported away on the crescent moon up to the clouds. In the clouds, the old man and the girl ride the crescent moon like a ship as the White Rabbit grows bigger and metamorphosizes into a cathedral-like structure. The moon ship sails the pair into the White Rabbit and through to the galaxy on the other side where the girl stands on the centre of a now giant clock and faces the elderly man who stands on the hand of the clock as it spins backwards. The old man transforms into a young prince and the girl runs to him to embrace. She slips, but the young man catches her by the hand in a romantic gesture. The romanticism of the moment is emphasized by the grey clouds transforming into a wonderland of mystical flowers. The film ends by returning to the clock, then showing the couple floating off together. The final images are of the empty alleyway (the old man and girl are no longer there) and the city, suggesting that there is no end to this dream and the girl is really flying away from the metropolis into the heavens with her young prince. the old man's blue eyes in this wonderful transition sequence. While there are some similarities to her earlier film Gravitation, this is a much more elaborate and visually sumptuous film. 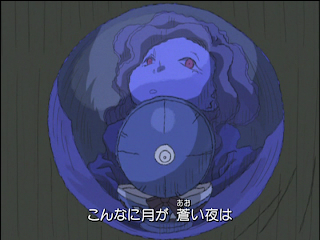 Perhaps most impressive are the beautiful, seamless transitions such as the girl being transported into Wonderland through the blue eyes of the elderly man (see image above) and the red wine transforming into a labyrinth entrapping the girl (see top image). The logic of the film is entirely ruled by dreams and metamorphosis. 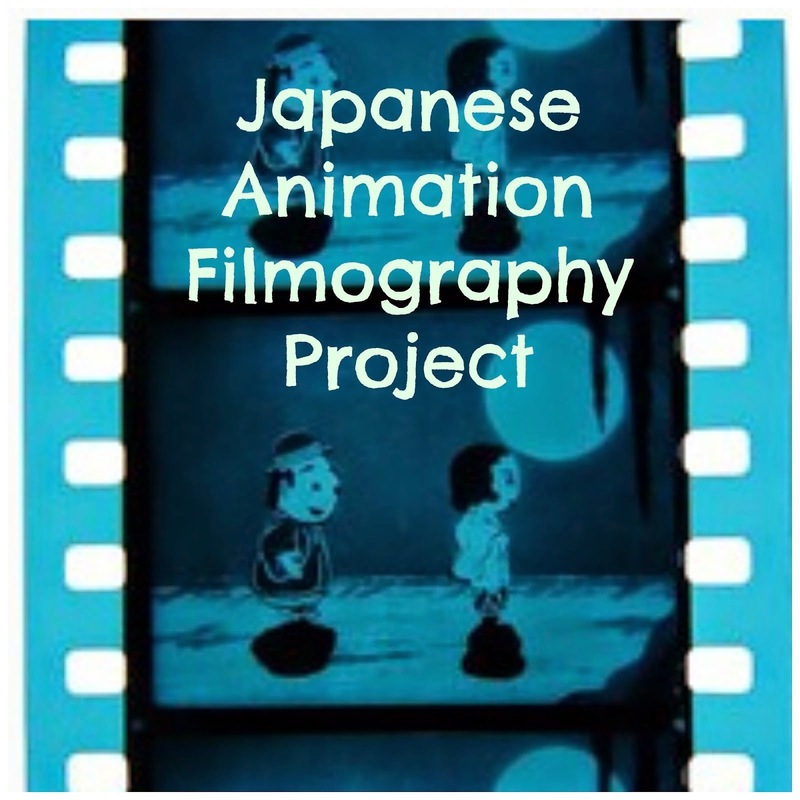 The matching of animation movement to the rhythms of the song makes the film particularly engaging. The opening and closing music sound like a wind-up music box and is matched to sequences with the mechanical clock. The sections of the song where the music swells are also paired with dramatic movements onscreen, such as the White Rabbit growing and metamorphosizing and the climax of the dramatic action of the film occuring during the musical bridge. Tsuki no Waltz and Ishizuka’s early shorts give us a taste of the unique, surreal vision of Ishizuka as an artist. 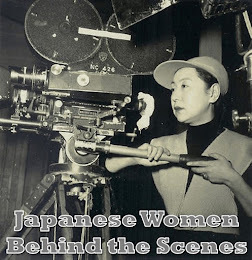 At Madhouse, she has worked on a number of successful commercial anime TV series including a guilty pleasure of mine – the Nana anime series (2006-2007). Her work on episodes 11 and 12 of the Aoi Bungaku Series (青い文学シリーズ , 2009) is brilliant – especially in the use of colour. I am quite excited about seeing Madhouse’s co-production with Warner Bros. Supernatural: the Animation (see trailer) in the New Year which Ishizuka is co-directing with Shigeyuki Miya. While I enjoy the projects she has been involved with at Madhouse so far, I have a feeling that the best is yet to come. Once she has put in her time and is finally given the chance to helm a feature film of her own inception, I wouldn’t be surprised if she is capable of producing works on par with the creative genius of Kon Satoshi’s Paprika (2006).